It can stick more strongly. Because I removed the decals with the exterior coating, I made a sticker based on the data I had on hand. It did well because I am still doing exterior painting. I think that there is no problem as I made it the same way before. 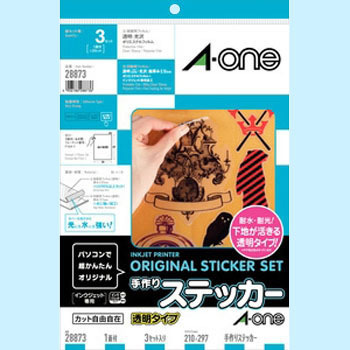 It costs about 1500 yen with 3 pieces, so it is expensive, but you can make a sticker for yourself, so it is a sense of cancellation too. I think it's good. This review is about item#32734125. The possession of fading etc. is unknown, but there is also a coating stick and it seems to last long. It is convenient to easily create an original sticker.